The Heartland: An American History by Kristin L. Hoganson is a fiercely illuminating history of the Midwest, and exactly the kind of urgent read that makes for great listening. 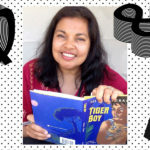 We asked award-winning narrator (of over 350 audiobooks!) Gabra Zackman what it was like to read Hoganson’s latest work—and a few other questions as well. Tell us a little about The Heartland. What’s it about, and what first drew you to reading the audiobook? The Heartland is a stunning history of the roots of our country’s heartland, but also the roots of capitalism, trade, racism, and patriotism. The author moved from an eastern city to the midwest—to small-town Illinois—and in her fascination to uncover the history of her own backyard, she uncovered the history of our nation’s footprint. The story is beautifully written, and I learned a tremendous amount reading it. But what drew me most was the history of the roots of colonialism and racism that is the bedrock of our current politics. When did you know you wanted to be an audiobook narrator? Like all great things in my life, it found its way to me in an unexpected moment. The brilliant narrator Jonathan Davis and I were doing a production of The Taming of the Shrew together in Georgia (my background is in classical acting) and he told me he thought I should be an audiobook narrator. I had no idea what that meant, but he offered to open a door for me. I was so lucky that he opened it, and that I walked through. What’s the most challenging character or situation you’ve given voice to, and why was it a challenge? I record a tremendous amount of memoir, and I treasure it. But the stories are so very personal, and I’ve occasionally found myself recording a story of trauma or pain that I want so badly to do well in honor of the author. I try to take my time with those passages and those books, and to get out of my own way enough to just tell the story as the writer intended. Conversely, I also record a lot of Sci-Fi and Fantasy, and I often make ludicrous choices (a gravelly Darth Vader-like voice, for example) and then spend a whole book shredding my vocal cords in homage to my wild imagination. Is there a certain book, movie, or author that’s been especially influential for you? I have always adored The Phantom Tollbooth by Norton Juster, and I turn to it in times of great travail to make me laugh and remember the simple joys of life. For similar reasons but in a wildly different way, I have been deeply influenced by the work of Pema Chodron, and find that her voice and words have guided me through dark and difficult times. What was it like to listen to yourself record an audiobook for the first time? What’s it like now? I was truly dreadful when I first started, and I thought I was FANTASTIC. Now I have such a huge body of work, and so many years of honing my craft, and I’m far more critical. Sometimes I think I really hit it, really bring a book to life in exactly the way it was intended to be voiced. And sometimes I think I’m just slightly off. That said, when I listen to my first work (from about 15 years ago) I laugh that I thought I was so amazing! 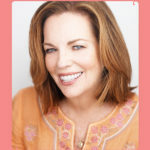 Gabra Zackman is a New York City-based actress, audiobook narrator, and author. 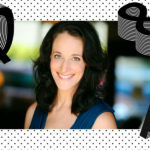 She has performed Off-Broadway, at Shakespeare festivals, on TV (Law and Order, Law and Order: SVU), and is the Outreach Director and a company member of the Upstart Creatures. Gabra has recorded over 350 audiobooks and won multiple Audiofile Earphones Awards and is a 2018 Audie Award winner for the multicast production Sadie. Her recording of Michelle McNamara’s I’ll Be Gone in the Dark was on Audible’s Top Ten Audiobooks list for several weeks running, and reached #1 on the New York Times Audio Bestseller list. A history of a quintessentially American place—the rural and small town heartland—that uncovers deep yet hidden currents of connection with the world. 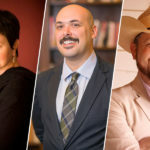 In this episode meet, Geraldine Brooks, author of Foreign Correspondence; Jason Bauman, editor of The Stonewall Reader; and Stoney Stamper, author of My First Rodeo. From reconnecting with old pen pals to exploring integral and unknown pieces of LGBT history to sharing the ups-and-downs of fatherhood, this episode explores the importance of sharing stories and preserving voices from our pasts. 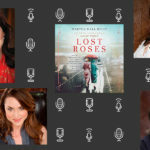 And, find out how through recording her audiobook, one author was able to reconnect with her younger selves. 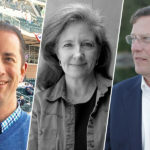 In this episode of This Is the Author meet Tyler Kepner, author of K: A History of Baseball in Ten Pitches; Monica L. Smith, author of Cities; and Matthew Sleeth, author of Reforesting Faith. Each of these authors wants to ensure that the history and importance of particular people and places are acknowledged, explored, and celebrated—whether it’s a beloved baseball pitcher, a bustling city, or the beauty of trees in the natural world. And, learn why one author’s recording experience reminded him of reading aloud in first grade. 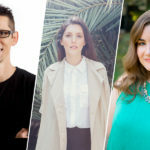 In this episode of This Is the Author meet, Hal Elrod, author of The Miracle Equation; Ashley Neese, author of How to Breathe; and Erin Lowry, author of Broke Millennial Takes On Investing. 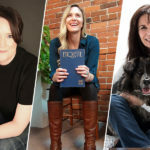 These three authors decided to write and record their audiobooks in order to share formulas, lessons, and wisdom that will help listeners live a balanced, less stressful life. And, find out which author would cast any of the Real Housewives of New York to narrate her audiobook. In this episode of This Is the Author meet Helen Ellis, author of Southern Lady Code; Lizzie Post, author of Higher Etiquette; and Cathy Guisewite, author of Fifty Things That Aren’t My Fault. While listening to stories about Southern Lady charm, cannabis etiquette, and Cathy’s famous “AACK,” you will fall in love with these ladies’ laugh-out-loud honesty about the writing and recording process. Plus learn which author’s mother made a special appearance in the recording booth. In this episode of This Is the Author meet Gigi Gorgeous, author of He Said, She Said; Shannon Sedgwick Davis, author of To Stop a Warlord; and Kwame Onwuachi, author of Notes from a Young Black Chef. More than one of these authors described the audio recording process as “therapeutic.” Hear why…whether it was overcoming that childhood fear of being picked to read aloud, to completing that final step in a long publishing journey from living a story to writing it down. These authors can inspire us all to achieve our dreams and fight for what we believe in. Plus, find out which author would cast Snoop Dogg to narrate their audiobook.